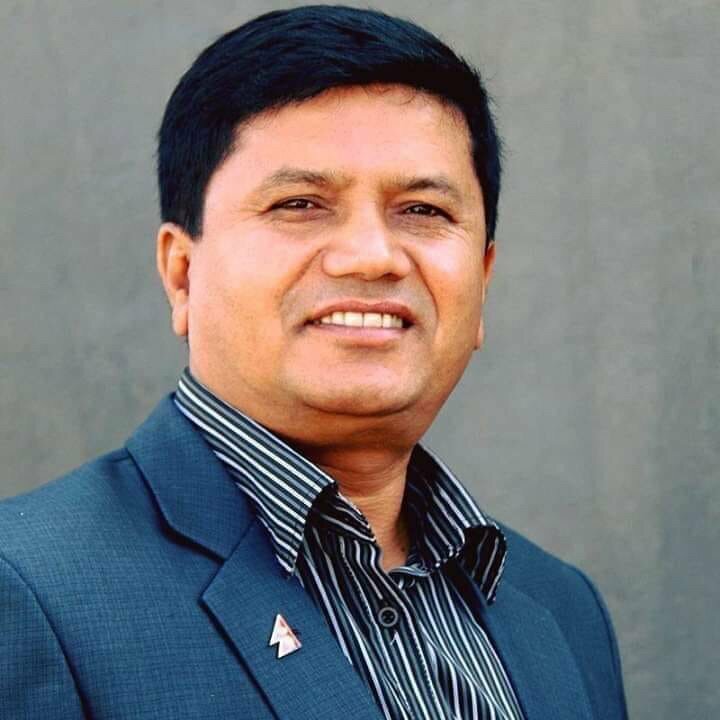 Minister for Culture, Tourism and Civil Aviation Rabindra Adhikari died in a helicopter crash which killed six others onboard. Statements expressing sorrow have been pouring in for the Minister who was known for his grounded and approachable personality, and for the six others who lost their lives. President Bidya Devi Bhandari expressed shock and sadness on the demise of seven people on board. आज ताप्लेजुङ हेलिकप्टर दुर्घटनामा परी लोकप्रिय युवानेता मन्त्री रविन्द्र अधिकारी, पर्यटन उद्यमी आङछिरिङ शेर्पा, राष्ट्रसेवकहरु तथा क्याप्टेन प्रभाकर के.सी. सहित सात जनाको दुःखद अवसानले मलाई स्तब्ध बनाएको छ । सम्पूर्ण परिवारजनमा हार्दिक समवेदना व्यक्त गर्दछु !! कसले सोचेको थियो र यो जीवन्त मुस्कान यति अल्पायुको होला भनेर ? रविन्द्र दाईको दुर्घटनाको खबरले स्तब्ध भए,मनमा झिनो आशा थियो तर त्यो आशा धेरै समय टिक्न सकेन। मैले आज एक असल साथी गुमाएको छु,देशले एक आशातीत नेता! रविन्द्र दाइ लगायत सवैमा हार्दिक श्रध्दाञ्जली!! We are saddened to hear of the helicopter crash and extend our heartfelt condolences to the families of all those who perished on the flight. Deeply shocked to hear about the helicopter crash that took the lives of @RabindraADH, Ang Tshering Sherpa and other officials. My sincere condolences to the families who lost their loved ones in this tragic crash. मैले धेरै आशा गरेका एकजना युवानेता रवीन्द्र अधिकारीको अल्पायुमै आकस्मिक निधनले स्तब्ध छु! हेलिकप्टर दुर्घटनामा निधन भएका सबैमा हार्दिक श्रद्धान्जली! आउँछ, टपक्क टिप्छ, लान्छ, टरेर टर्दैन त्यो। ताप्लेजुङ्गमा भएको हेलिकोप्टर दुर्घटनामा ज्यान गुमाउने मन्त्री तथा मित्र रवीन्द्र अधिकारी लगायत सातैजनाको आत्मालाई शान्ति मिलोस् र परिवारलाई धैर्य धारण गर्ने क्षमता। कसको मृत्यु कहाँ, कसरी लेखिएको हुन्छ, कसलाई के थाहा! “Buddhist International Travel Mart” is going to be organized to promote Nepal as the birth place of Gautam Buddha. The travel mart is going to be organized by Nepal Government and Nepal Association of Travel and Tour Agent (NATTA). 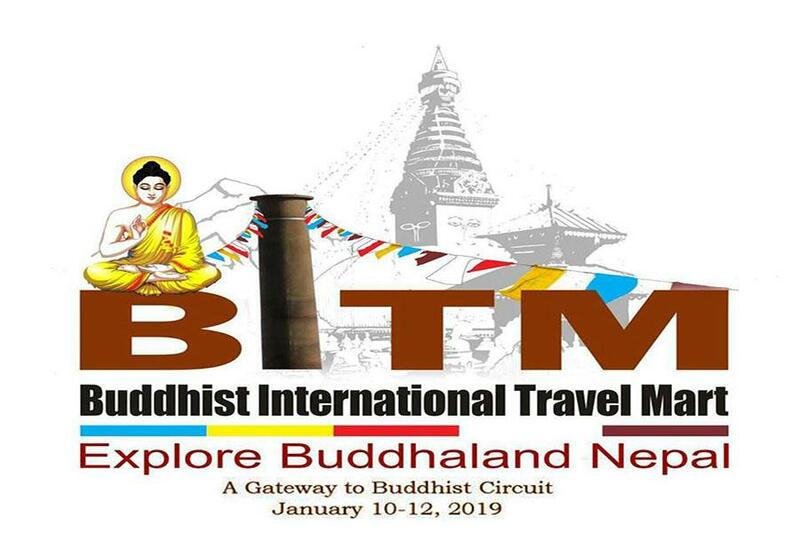 Buddhist International Travel Mart will be organized from January 10- 12 in Lumbini. This travel mart is being organized with the slogan, “Explore the Buddha Land” and “Gateway to Buddhist Circuit”. A committee under Ministry of Culture, Tourism and Civil Aviation has been formed to make this travel mart a great success. Monks, Tour Operators, Representative of Buddhist Association and Representative of National Tourism Council of 30 countries including China, India, Myanmar, Japan, Vietnam, Korea, Canada, Germany, France will participate the Travel Mart. Surendra Bhattarai, Joint Treasurer of NATTA said that all the organizations and tourism entrepreneurs of Nepal will be there in the travel mart. 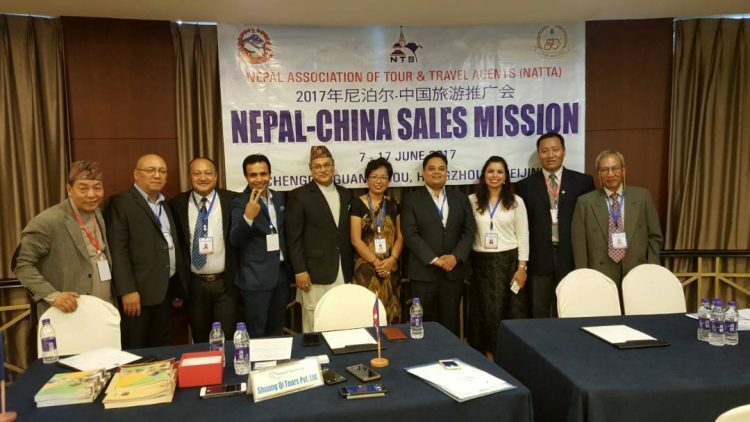 In conjunction with the Embassy of Nepal in Beijing and Nepal Tourism Board (NTB), Nepal Association of Tour and Travel Agents (NATTA) is organizing Nepal China Sales Mission 2017 in four different cities of China: Chengdu, Guangzhou, Hangzhou and Beijing from 07th June through 17th June 2017. Nepal Association of Tour & Travel Agents (NATTA) has finally blown the bugle of Nepal Promotion in China in Beijing on 14th June afternoon at Hotel Sun World in the gracious presence of chief guest HE Ambassador of Nepal for PR China Leelamani Poudyal, special guest General Secretary of China Chamber of Tourism Xu Lejiang, and high level officials and about sixty-five Chinese tour operators and media representatives and local tourism dignitaries. 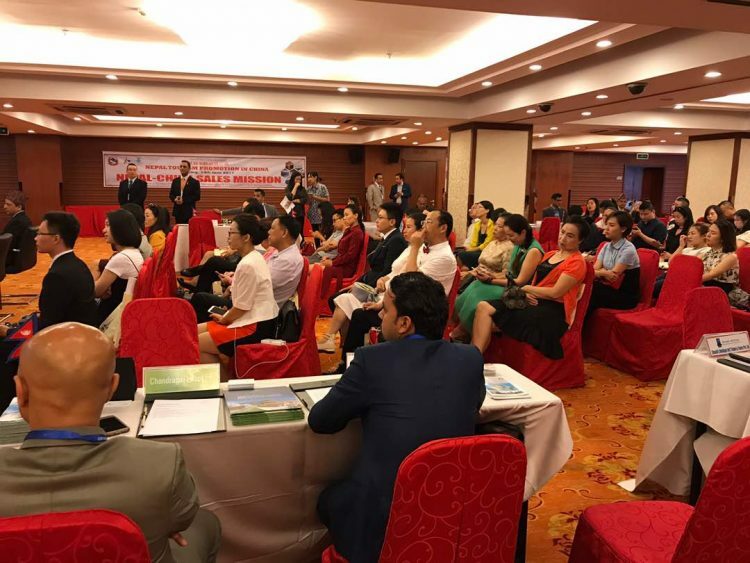 The program began with welcome address by Nepal’s Ambassador and audio-visual presentations on Nepal’s tourism attractions which seem to have lured the Chinese tour operators a lot. Nepal Tourism Board also presented a short narrative on Nepal Tourism and that was followed by show of Documentaries on Nepal’s cultural and natural heritages. 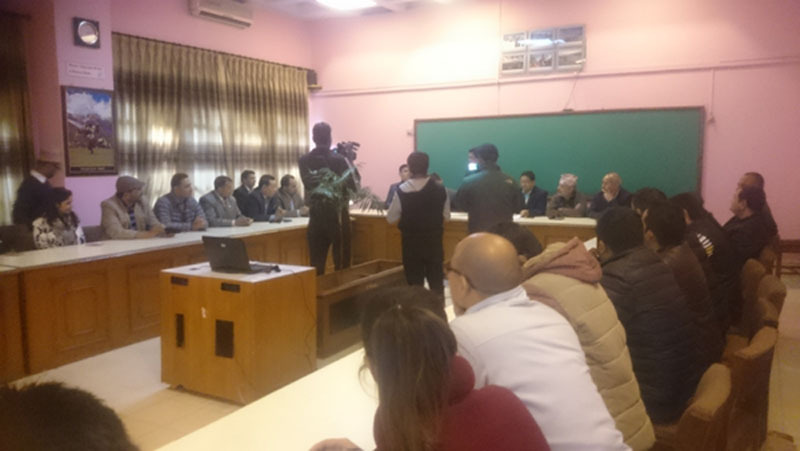 Then the floor was declared open for queries from the Chinese operators and media, the queries from the Chinese side reflected their great interest in planning visit to Nepal with friends and families in the near future. President NATTA Madhu Sudan Acharya answered all the queries raised and gave his concluding remarks. 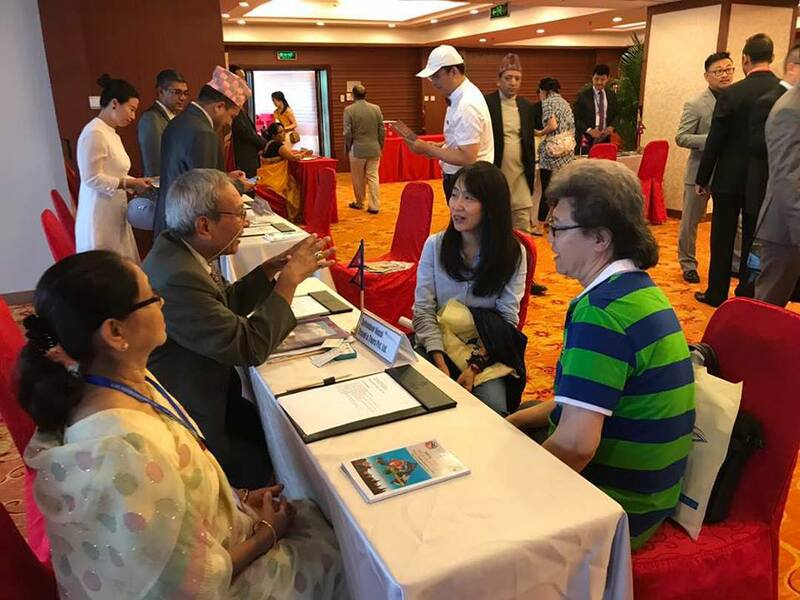 The B2B session that followed was quite lively and all the Nepalese travel trade entrepreneurs were attended personally by the Chinese operators. They collected various information as to how the potential travelers to Nepal could make their trip relatively easier and comfortable. Speaking on the occasion Ambassador Poudyal stressed on the fact that Nepal and China were closely connected geographically as well as culturally. He further said, Nepal-China relationships are based on the five principles of peaceful co-existence. Nepal has great expectations for a socio-economic transformation from China’s initiation of OBOR already signed by Nepal, he added. 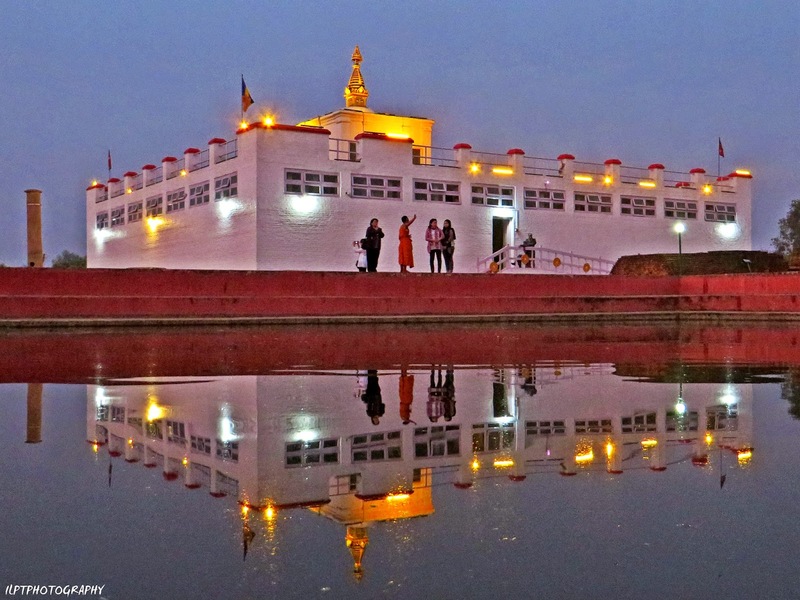 He also hinted on the importance of Lumbini for Chinese Buddhists as it is the Birthplace of Shakyamuni Buddha. 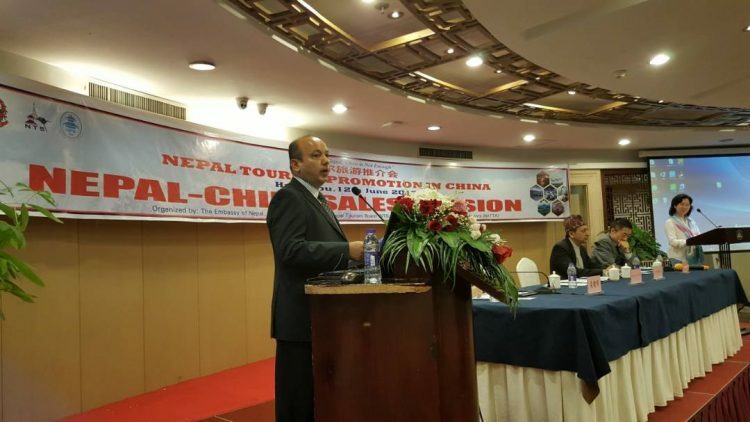 Ambassador Poudyal gave eight reasons why Chinese citizens should travel to Nepal. Xu Lejiang, general secretary of China Chamber of Tourism committed to support Nepal in its efforts to gain more of Chinese tourists in Nepal. He also said that soon CCT and NATTA will be jointly introducing strategies to promote Nepal in China. NATTA President Acharya underscored the importance of tourism not only as a business but also as a bridge to bring the people of both the countries to a close proximity. Acharya referred to the challenges confronted by tourism industry of Nepal in the recent past and the measures adopted to eliminate those challenges by way of raising the image of the country as a most coveted destination among the people of the region and globally as well. He also pointed out about the second International airport in offing and the addition of new aircrafts for Nepal Airlines which will be operating to China. Tourism to-day is looked at as an industry of national priority, he added. NATTA had earlier launched China Sales Mission-2017 in Chengdu, Guangzhou and Hangzhou on 8th, 9th and 12th June. NATTA has been promoting Nepal in China on regular basis with the support of NTB for the last several years. The International Travel Bloggers and Media Conference kicked off here in the capital on Thursday. This is the first time that the conference has been organised in the country to promote the message in the global tourism market that Nepal is the gateway to the Himalayas. The theme of the conference is – Nepal Gateway to the Himalaya. Taking part in the meet are 107 travel bloggers from 33 countries, 70 travel and tourism-related experts and more than 100 journalists from various countries. In the biggest tourism event ever, held at Budhanilkantha in the capital, the participants shared knowledge and experience regarding the tourism products of their respective countries, the use of digital media and the new practices in the field. Experts from various countries shared information on the tourism market, tourism products and ways of promoting both. 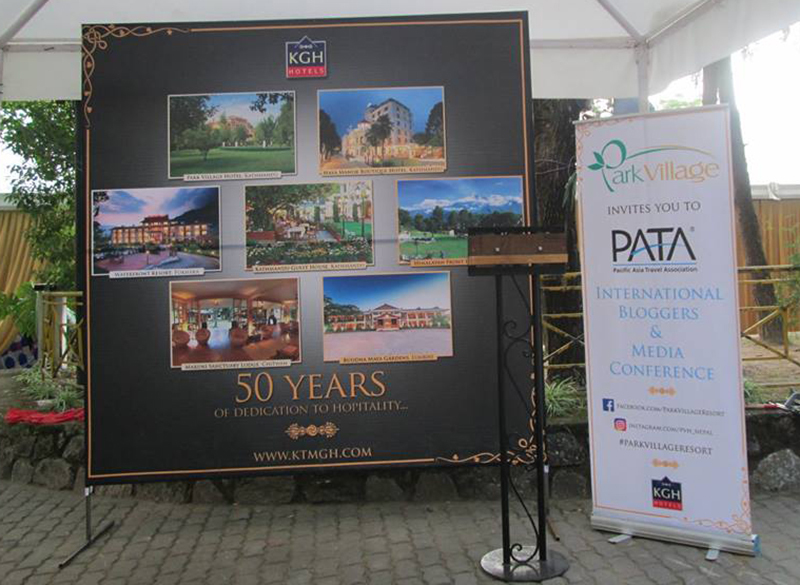 Some 500 people from home and abroad participated in the conference organized by the Pacific Asia Travel Association (PATA) Nepal Chapter as the executive organizer, the Ministry of Tourism and Civil Aviation as the host and Nepal Tourism Board as the main organizer. Minister for Health Gagan Kumar Thapa, inaugurating the conference, said that the conference, organised with a new vision of tourism and a long-term goal, would play a key role in promoting Nepal’s tourism in the world market. He opined that Nepal’s tourism would be much benefited from the promotional programme through this international level conference in the context of the Nepali tourism market with high potentials in terms of natural, geographical and cultural aspects not been reaping the expected benefits. He also stressed the need of the government and the private sector to work together for further promoting the country’s tourism. Chief Executive Officer of Nepal Tourism Board, Deepak Raj Joshi, highlighting the potentialities of Nepal’s tourism market, reiterated that the conference would be useful in giving a new message to the global tourism market. PATA CEO Mario Hardy described the conference as the appropriate forum for promoting new tourism product in the global tourism by exploring the avenues for nature and culture tourism of Nepal, a country of the Himalayas. 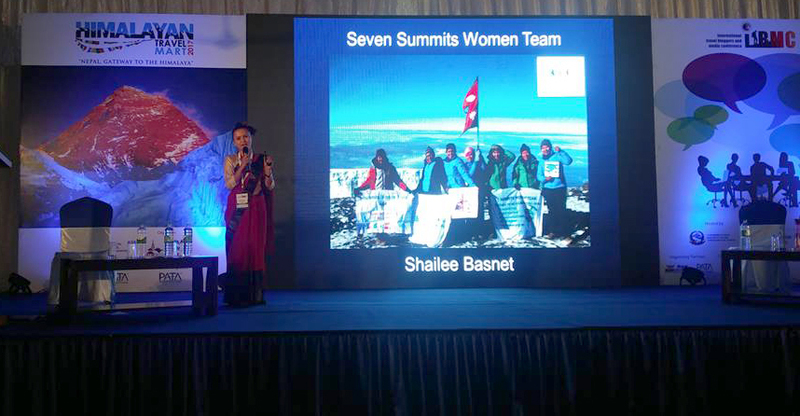 PATA Nepal Chapter president Suman Pandey said that the conference has been organized with the objective of promoting Nepal’s tourism throughout the world through digital media. Health Minister Thapa also launched the special issue of Himalaya Travel Magazine on the occasion. NATTA organised a Press-Meet today in the afternoon at Nepal Tourism Board (Lecture Hall) in the august presence of more than forty media representatives including the electronic media and apprised the media regarding NATTA’s upcoming mega events, viz., NATTA Golden Jubilee Celebrations and 21st NATTA Convention going to be held in Hotel Yak & Yeti on 09th December, 2016. Convenor of the program First Vice-President Mr. CN. Pandey read out the Press-Release on the occasion and answered the queries raised by the respected media. He also informed the gathering that UFTTA was also observing its Golden Jubilee this year adding that it was a happy coincidence. 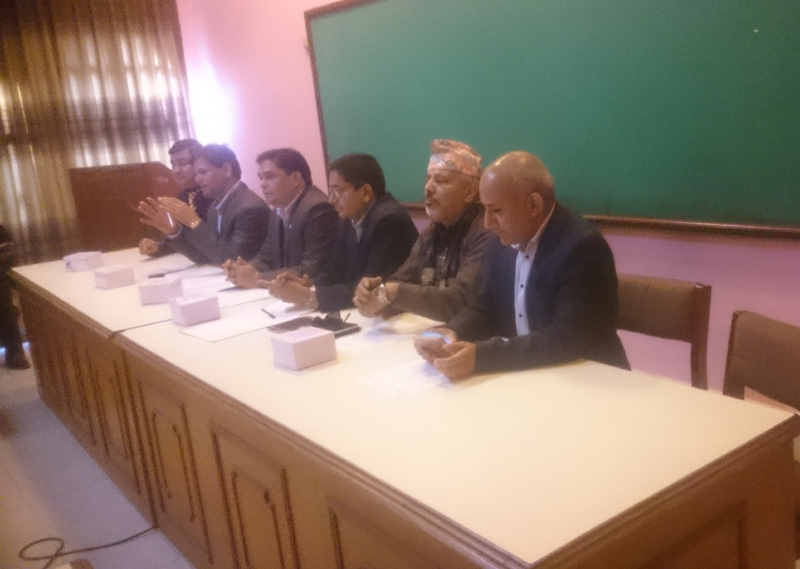 Present on the occasion of NATTA’s Press Meet were the Director General of Department of Tourism Mr. Jaya Narayan Acharya, CEO of NTB Mr. Deepak Raj Joshi, NTB Board Member Mr. Krishna Aryal, NATTA 2nd VP Mr. D.K. Sharma and NATTA Board Members. Prof. Dr. Hari Sarmah broke the ice of the program. After the Press Meet, Secretary General Mr. Bhim Prasad Panta thanked media representatives for their important participation and all the dignitaries present. Nepal Association of Tour and Travel Agents (NATTA) is celebrating Golden Jubilee to mark its 50th Anniversary on Friday, 9th December 2016 (24th Magshir 2073BS) in Kathmandu. Golden Jubilee Event carries the theme of “Nepal Tourism: Industry of National Priority” with an objective of revitalizing the almost forlorn Government agenda feebly lying in papers for quite some time. With the membership of more than 1000 companies nationwide, NATTA stands out as a pioneering association of tour and travel agents not only in Nepal but also in this region. 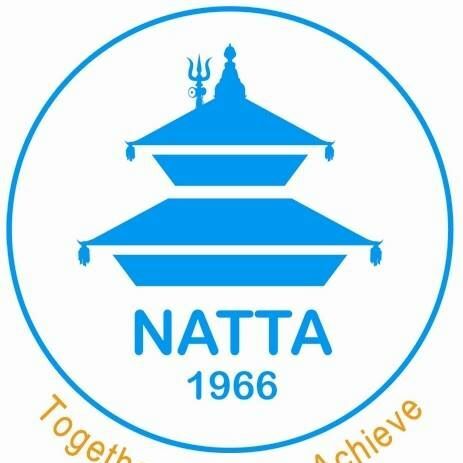 NATTA’s 50years’ tireless service of uniting nation’s travel agents and tour operators for a common mission of entrepreneurship, professionalism and prosperity and for the promotion of Nepalese tourism speaks in volumes its dedication for the development of tourism industry of Nepal. along with the Inaugural Function on 9th December 2016 at Hotel Yak and Yeti, Kathmandu. This year also marks the Golden Jubilee of UFTAA (United Federation of Travel Agents Association), international umbrella association of travel agents. President of UFTAA, presidents and leaders of travel associations from various countries are also participating in this Golden Jubilee Event. They are excited to celebrate Golden Jubilee and to promote and market Nepals tourism products in their respective countries. WORLD TOURISM DAY CELEBRATIONS 2016 ! The travel trade sector is all set to observe the 37th World Tourism Day in Nepal. NATTA has the opportunity to be in the Committee of World Tourism Day Celebration – 2016 chaired by MOCTCA. NATTA has been obliged in several tasks assigned by the committee. NATTA Secretary Mr. Sudhir Kumar Upadhyay has been representing NATTA in MOCTCA meetings. And in todays meeting held at NTB chaired by Tourism Secretary Mr. Shanker Pd. Adhikari, NATTA Secretary Mr. Upadhyay elaborated NATTAs Cycle Rally and Blood Donation programs taking place on Saturday & Sunday to mark WTD -2016. Secy. Mr. Adhikari praised NATTA on organizing Cycle Rally & Blood Donation programs. Mr. Upadhyay was accompanied by NATTA Executive Mr. Ram Kumar Barakoti. WORLD TOURISM DAY CELEBRATIONS 2016 !!! All agencies were requested to display banner of Tourism Day on their organizations and offer gifts or additional privileges to their clients who will be traveling to Nepal on the World Tourism Day. 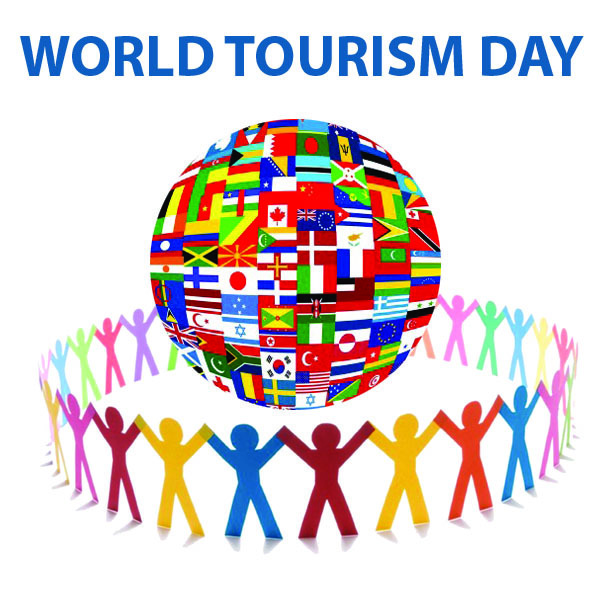 27 September is World Tourism Day! Tourism for All! Accessible Tourism for all is about the creation of environments that can cater for the needs of all of us, whether we are traveling or staying at home. May that be due to a disability, even temporary, families with small children, or the ageing population, at some point in our lives, sooner or later, we all benefit of universal accessibility in tourism. World Tourism Day 2016 !!! Which is why, we want to call upon the right for all of the worlds citizens to experience the incredible diversity of our planet and the beauty of the world we live in. 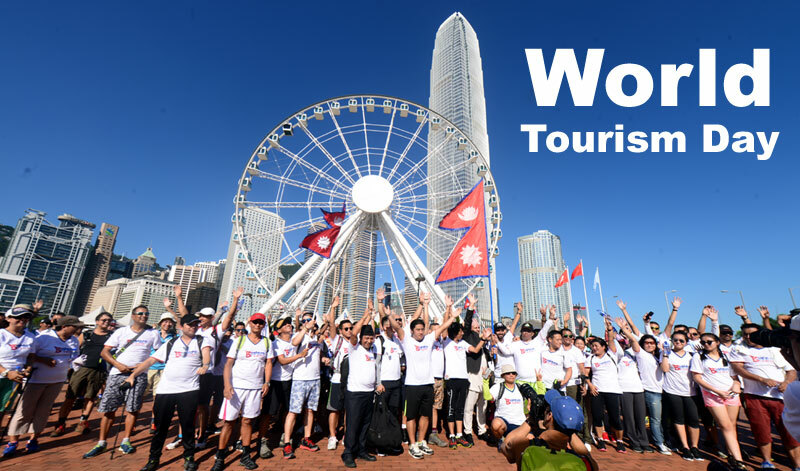 On this years World Tourism Day help us spread the word of both the importance and immense benefits universal accessibility has and can bring to society at large. Ever since its inception, World Tourism Day is celebrated on 27 September to foster awareness among the international community of the importance of tourism and its social, cultural, political and economic value. As the official day set aside in the United Nations Calendar the celebration seeks to highlight tourisms potential to contribute to reaching the Sustainable Development Goals (SDGs), addressing some of the most pressing challenges society is faced with today.